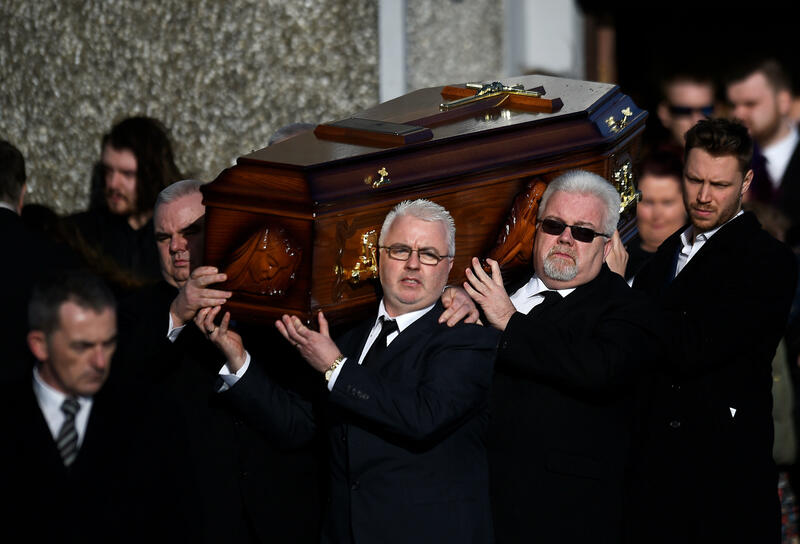 LONDON -- Family members, Cranberries bandmates and fans gathered to mourn lead singer Dolores O'Riordan in her Irish hometown Tuesday for her funeral. The singer died last week at the age of 46. The funeral Mass at the parish church of St. Ailbe in Ballybricken in southwest Ireland opened with a recording of "Ave Maria," sung by O'Riordan and Luciano Pavarotti. Items associated with the singer, including a guitar and a platinum disc, were laid at the altar. "Now she is singing in the heavenly choir -- hymns of petition for us," he said. The Cranberries formed in Limerick, Ireland at the end of the 1980s and had international hits with songs including "Dream," "Linger" and "Zombie."